We help you find grants. View pricing or learn more about our award winning grants directory. Aims to level the playing field for people with disability, and create communities which value and welcome people with disability. Aims to addressing the needs of vulnerable people by supporting and working with charitable organisations and social enterprises. Gives amazing Australians doing great things the chance to share in $1 million in grants. Individuals of all ages, walks of life, interests and abilities who are working towards a goal that will have a positive impact on the community can apply. Offers funding for a broad range of community needs and aims to fund projects that are focused on improving the lives of disadvantaged local people. Helps people with a disability complete or undertake courses and programs by providing small grants. Funds garden projects in State Government, Catholic and Independents schools across Victoria. Funds applications that ensure that people and places experiencing disadvantage thrive. Invites organisations and projects that work on improving the health and wellbeing of our community to apply. Helps those committed to creating long-term change for the good of people and the planet. Search over 1,200 grants listed from government, businesses, philanthropic sources, private donors, trusts, and those other providers that don’t ﬁt clearly in a box. Search for grants by your category of choice. You can also see our top pick of grants for each sector. Flick between sectors to get a quick snapshot of grant trends across Australia. See the full details of each grant. Click apply to go straight to the Grant Provider’s application page. Found a few grants that look good? Compare the differences between each so you know exactly which application you should invest your time in. Found a grant you like? Share it easily with friends, colleagues, committee members or your business manager. Create your own grants program at the click of a button. You can see which grants are due when, easily see your busy and quieter grant periods, and make sure you don't have 10 applications all due on the same day! Find out more about our Grants Calendar. Are you a large organisation? Perhaps a multi-campus school or local government? The Grants Hub team is growing, and we’re excited to be bringing a new Administration team member on board. From 1,200 applications received for the grant program, 6 businesses and organisations made it to the Grand Final. Each of them got up in front of judges and around 130 guests and had 6 minutes to pitch for extra grant funding - and what an incredible job they did! The passion of these founders came through strong and clear. 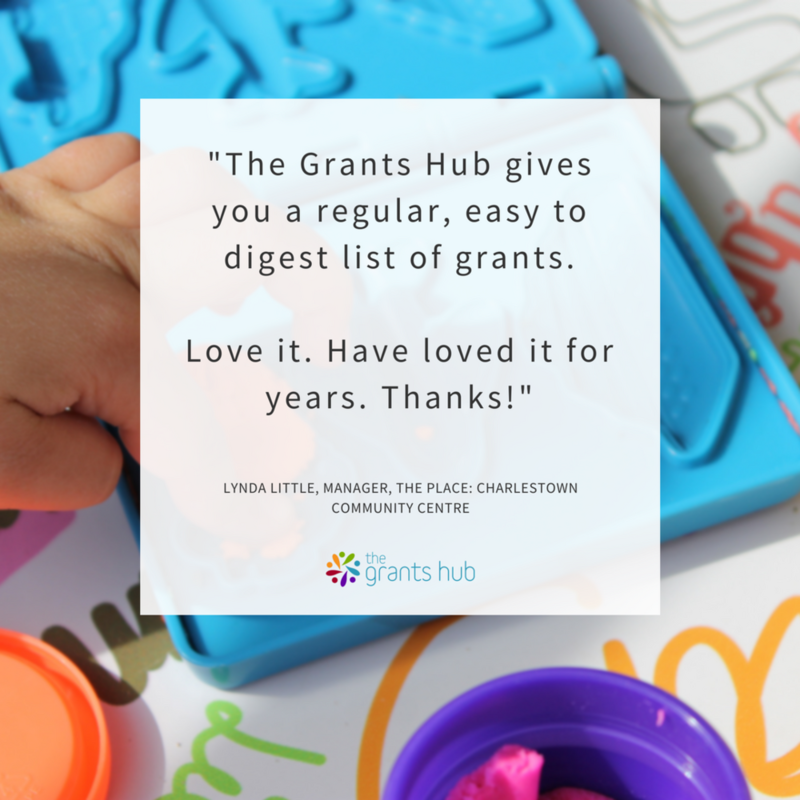 2019 is already looking bright for many members of The Grants Hub!